Demand for British food and drinks is growing in the US, with wine leading the charge, according to the UK’s Department for Environment, Food and Rural Affairs (Defra) and Department of International Trade’s (DIT), which have teamed up to promote Great British food and drink in New York. New Yorkers taste the best of British at the British Spirits and Sparkling Wine Week in New York. In just ten years, global demand for UK food and drink has grown nearly a third and last year British exports were worth over £22bn, with the aim of the UK government’s Food is GREAT campaign to increase this by a further £2.9bn by 2020. Wine is currently the fastest growing British export, (see table below) rising by 177% in value since 2014, while gin has increased by 36% and whisky by 12%. “There’s a huge demand for the unique and innovative British spirits that are available in the USA, particularly with gin, which predictions show could increase by 40% in the next five years,” said Simon Stannard, European and International Affairs Director of the Wine and Spirits Trade Association. Supporting this growth, this week Defra and DIT hosted its first British Spirits and Sparkling Wine Week with the aim of inspiring buyers and influencers in the US to try British brands. Aimed at increasing awareness and driving sales of UK products in New York City, the first British Spirits and Sparkling Wine Week ran from 22 – 28 October 2018. The week-long programme of activity was led by Defra and the DIT’s ‘Food is GREAT’ campaign, in partnership with the Wine and Spirits Trade Association and industry representatives. 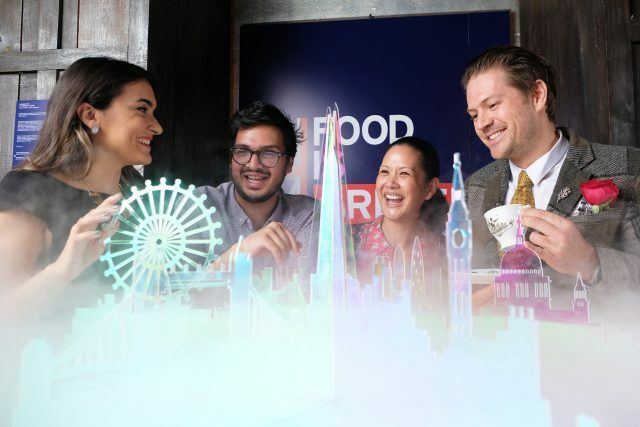 Multi-sensory culinary experts, Bompas & Parr, created a ‘London Fog’ installation, where guests at the event could taste a rose water and gin-flavoured mist through straws. While the GREAT British Cocktail Competition saw the involvement of UK gin brands including Berry Bros & Rudd, The Botanist, East London Liquor Company, Whitley Neill and Cotswold Gin Company, who each put forward New York mixologists to create a cocktail including one quintessential British ingredient. Tim Harris from the Manhattan Cricket Club won first place for his cocktail, Tea & Sympathy, which contained: Berry Bros & Rudd No. 3 gin, English Lavender, Crème du violet, lemon and Lady Grey tea. “America continues to be a growing market for us and its consumers have an increasing interest in our whiskies, gins and sparkling wines – gin exports alone have risen by £49 million in the last four years,” said Defra’s Food Minister David Rutley.